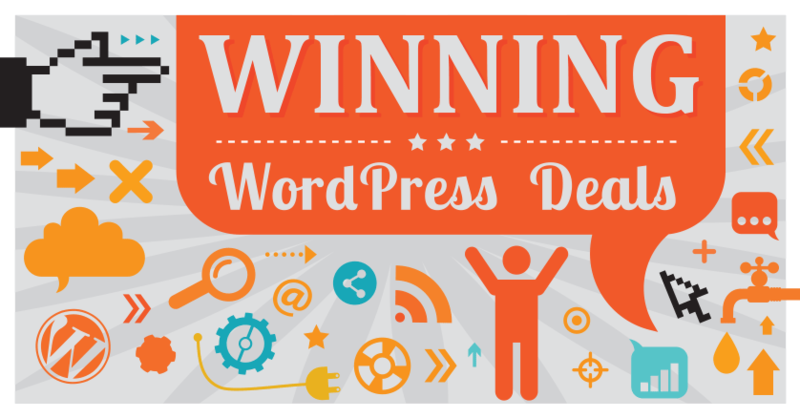 When looking for a theme or plugin, WordPress users are spoilt for choice. With the official repository, dedicated marketplaces and various WordPress shops, there are thousands of options — so many, in fact, that it can all too easily become difficult to make a decision. Making the right choice is critical to your site’s success, though — so isn’t something to be taken lightly. 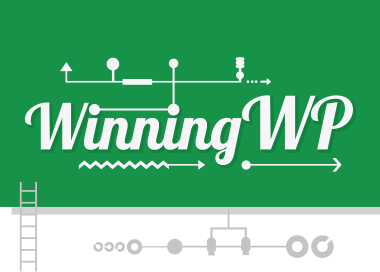 After all, your site’s theme will determine the design displayed to your visitors, and your plugins will add most of its functionalities. To help you make an informed decision, I’ll be taking an in-depth look at one of the best places to buy WordPress themes and plugins: MyThemeShop. As well as examining MyThemeShop in general, I’ll also be looking at its main features, reviewing a few of its top products and sharing tips for prospective buyers. With a name like MyThemeShop, you’d think the answer would be clear cut.  In reality, MyThemeShop occupies a middle ground somewhere between a WordPress theme shop and a WordPress ‘club’. However, because of its pricing policy, it probably leans more towards being a club. This is because although all of its products (MyThemeShop develops themes and plugins) are available to buy individually, it also has a membership option that gives users complete access to its entire product range. Believe it or not, MyThemeShop is one of the largest WordPress clubs around, boasting a whopping 300,000 satisfied customers and a catalogue of 99 themes and 20 plugins. MyThemeShop operates a flat pricing structure — any theme will set you back a fixed $59, with plugins coming in at $29 each. This is a fairly standard price for themes and plugins, and certainly on a par with major marketplaces such as ThemeForest and CodeCanyon. If you want access to its theme club, an extended membership account costs $167 a year. For that price, you’ll get access to all 99 themes and 20 plugins, as well as client support and full access to Photoshop PSDs. 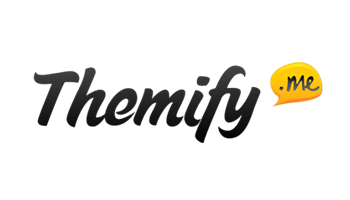 Membership is pricier than that of some of the other theme clubs, such as ElegantThemes (from $59 a year), TeslaThemes (from $59 a year), and ThemeIsle (from $99 a year), but more affordable than the likes of WooThemes (from $399 a year – update – 16th July: WooThemes.com is now under the umbrella of WooCommerce.com, with their themes available at https://woocommerce.com/product-category/themes/), WPMU Dev (from $294 a year), and StudioPress (from $499 a year). The MyThemeShop collection consists of 99 themes to date — 83 premium themes, and 16 free ones. MyThemeShop themes were designed with usability in mind, and each theme ships with a market-leading theme options panel from which you can control the theme’s settings, import dummy content (to have your website looking like the demo you saw when you bought the theme), or dive into its many customisation options. For a start, every theme has support for unlimited colours and the entire catalogue of Google web fonts — more than 600. Perhaps more importantly, all themes offer unlimited background options: including a variety of built-in background patterns, the aforementioned unlimited colours, and the option to upload a custom background image. The themes are pretty feature-rich too. There’s built in ad management, stylish and lightweight social-sharing buttons, and contact form functionality included with every theme. All themes also come with support for the entire collection of MyThemeShop shortcodes, allowing you to add eye-catching design elements to your site with ease. Most importantly, though, is that underneath all of this is a clean, lightweight, and robust code. What’s more, to ensure your site is as visitor-friendly as possible, all themes boast a fully mobile responsive design, lightning-quick load times, and cross-browser compatibility. Another bonus: each theme comes with a narrated video tutorial, plus MyThemeShop offers round-the-clock support to help you out of any tight spots you might encounter (more on this later). Searching for a theme is easy, and the MyThemeShop website has lots of features to help you out. For a start, you can search for themes in each of the four categories we’ve just listed, plus there’s a separate category for free and miscellaneous themes. Or, if you’d prefer, you can start by searching for a keyword using the search function. All themes include a preview to help you get an idea of the design. These previews come in rows of three by default, but, if you’d prefer a slightly larger preview, you can select rows of two. There’s also a basic filter that lets you sort the themes by release date or popularity. When you’ve found a theme you like the look of, you can click through to the theme’s product page. Here, you’ll be able to read more about the theme’s main features, plus you’ll get an idea of the theme’s popularity — each theme includes a community rating out of five. Before you buy a theme, I’d strongly recommend spending a few minutes exploring this demo. You’ll be able to sample the theme’s layouts, try out the different customisation options, and get a general idea of how the theme looks and performs. Social traffic is consistently growing, and entire websites have popped up feeding almost exclusively off social traffic. 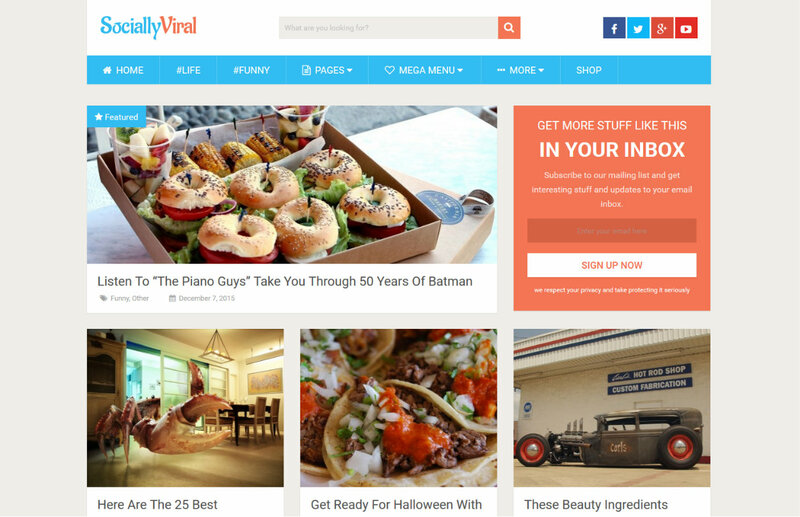 If you’re looking to build a viral social website, SociallyViral was built for you — the theme boasts a variety of features to skyrocket social shares and also cater to viral traffic. That means a website with lots of social buttons, trending post widgets, and, with one eye on monetization, advanced AdSense optimization. Rating: 4.5 stars (113 reviews). From social media to the search engines, Schema is a website tailored to dominating the SERPs — achieved by a carefully designed, SEO-optimized layout. The theme is also lightning quick, with site speed an important ranking factor. The site uses a stylish-yet-simple design, plus it comes packaged with review functionality and ad management. For an SEO-focused theme named Schema, the theme, of course, adds the necessary Schema markup that powers Google rich snippets. Rating: 5 stars (187 reviews). OnePage supports a gorgeous full-screen slider above the fold, grabbing visitors’ attentions immediately. It is primarily a business theme, supporting dedicated team, portfolio, client, testimonials, and pricing sections — all of which look extremely professional and offer stylish parallax effects. 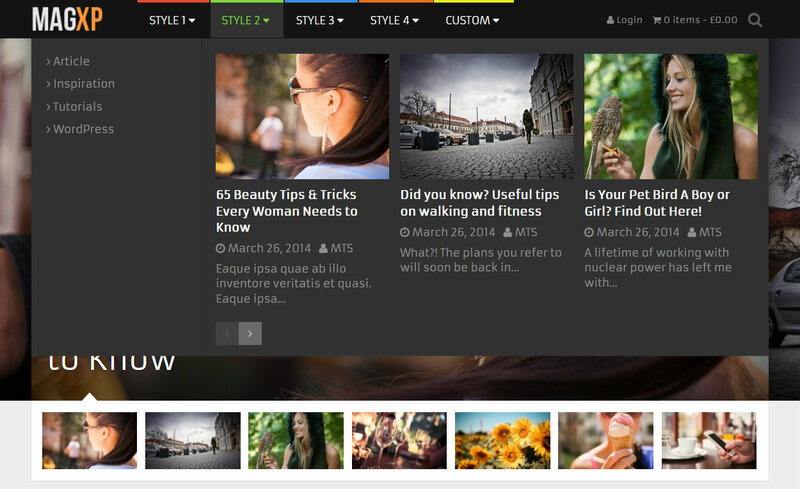 The theme also looks great when kitted out in its alternative blogging skin. Rating: 4.6 stars (145 reviews). 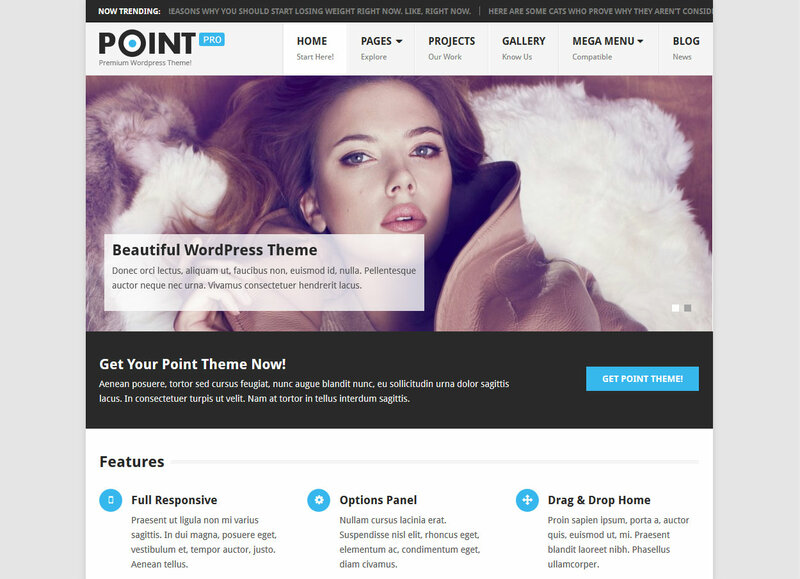 PointPro is another stylish, professional theme, this time coming in three variations — business, blog, and eCommerce store. The business template is particularly eye-catching, with a clean, organized design complementing lots of images — there’s an image slider, thumbnails, and gallery functionality, too. The theme gives you loads of flexibility, with custom sidebars, infinite colors, and unlimited backgrounds. Rating: 5 stars (245 reviews). 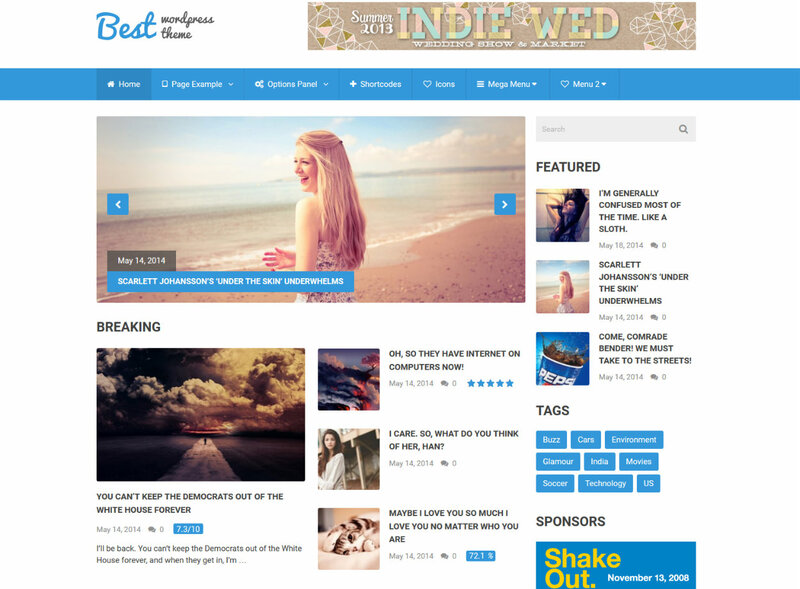 Best is a beautiful, simple, and clean WordPress magazine theme. While many magazine themes end up looking overly cluttered, Best remains organized throughout — it’s clearly defined sections make your site easy for visitors to navigate. As you’d expect from a magazine theme, there’s also plenty of dedicated widgets; bright, colorful social sharing buttons; and built-in review functionality. Rating: 4.8 stars (158 reviews). You can search for plugins in the same way as themes, but, because plugins vary in terms of their capabilities, the plugin product pages are the most important places to look for whatever details you’re after. Each plugin page has a long list of the plugin’s features, giving you a clear indicator of what it can (or can’t) do. You will also see a user rating, plus there’s a handy demo for each plugin so you can see each one in action. Because there are fewer plugins than themes, let’s run down the top three MyThemeShop WordPress plugins. I’ll also provide a brief summary of what each plugin can do. Rating: 4.8 stars (149 reviews). WP Subscribe Pro lets you display stylish popups and subscription boxes to grow your email list. This plugin boasts plenty of design options to play with, plus support for exit intent technology. 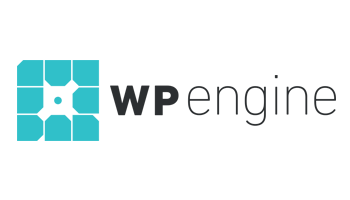 You can also integrate WP Subscribe Pro with the most popular email marketing autoresponder services, including AWeber and, of course, MailChimp. Rating: 4.3 stars (82 reviews). 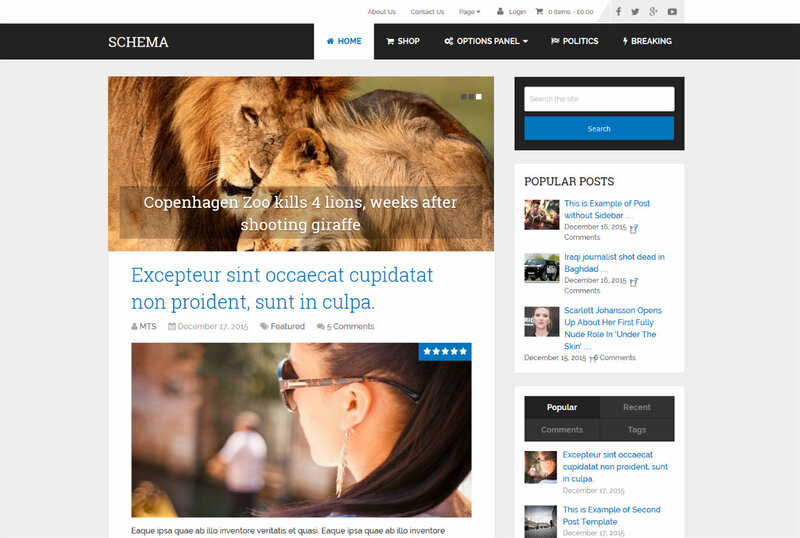 WP Mega Menus adds beautiful, interactive menus to your website. The mega menus come loaded with options, and allow you to add thumbnail images. These menus are a prominent and stunning design feature for your website, and they make it more straightforward to navigate. Rating: 4.5 stars (124 reviews). As we’ve touched on a number of times during this post, MyThemeShop offers quality, 24/7 support for all its customers. It takes place primarily in public, in its support forum, so that other users can learn from common problems. There’s a dedicated section for themes and plugins, plus separation between free and premium products. Simply post your problem on the forum and one of the MyThemeShop-employed support team will respond to your query promptly — usually in no more than an hour or so. Rather than only concentrating on paid members, MyThemeShop offers great support to free users as well, believing that the support a person receives for a product shouldn’t depend on whether they paid or not. The forum also supports a search function, so you can look for existing solutions to a problem — usually the quickest way to find answers. Resolved queries are indicated with a green resolved stamp. On top of the support forum, MyThemeShop has added a collection of 45 video tutorials teaching the basics of WordPress, how to use the MyThemeShop products, and even how to use some popular non-MyThemeShop plugins. These videos are accessible via the Tutorial tab. And, if you’re still unable to solve your problem after posting to the support forum, MyThemeShop also offers email support. Should you require tweaks to your theme, specific customisations, website setup, or website migrations, the MyThemeShop support team can help you out (though these services are, as you’d expect, paid). Overall, MyThemeShop is almost certainly one of the best WordPress clubs around — it offers an impressive range of themes that are renowned for their quality at an affordable price. Throw in an excellent, versatile selection of plugins and ongoing support, and it isn’t hard to see why more than 300,000 customers have taken the plunge and become MyThemeShop customers. You may be wondering whether you should buy themes on an individual basis, or as a job lot as part of the ‘club’ subscription. Of course, that depends. If you build lots of websites — perhaps as a freelance developer or a creative agency — then the club membership is bound to be the most appealing option. This package will give you access to nearly a hundred themes to impress your clients, plus each one comes loaded with customisation options so you can tailor a website to a client’s liking. If, however, you’re an individual building a single website, the decision is a little more difficult. 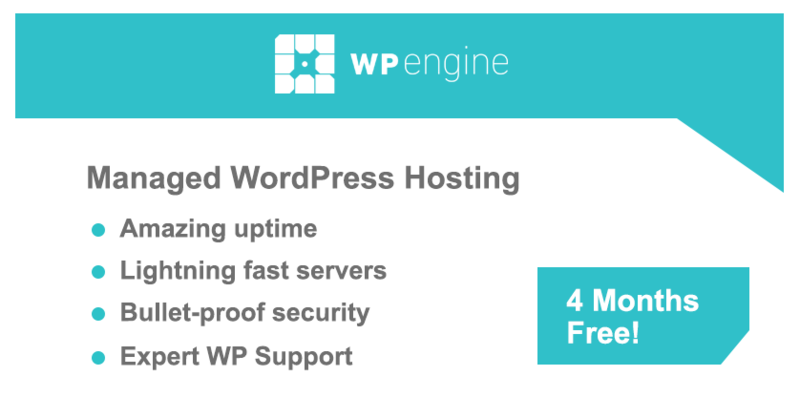 On one hand, you’ll save money by buying a single theme; on the other, paying for a club subscription allows you to test your website under a variety of guises until you find the perfect one. 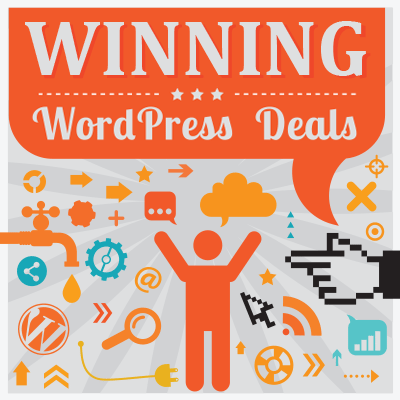 The annual membership represents the best value, and more than holds its own when compared with other top WordPress clubs — $167 a year for 99 quality themes and 20 specialist plugins is an absolute steal! p style=”margin-top:23px;”>Using MyThemeShop? Any favourite/recommended products? Thoughts? Tip: Never buy a MyThemeShop theme at full price. They run almost constant promotions selling them at approx $19. For that you get a year’s access to updates for that theme. Don’t forget to check and update before your year is out unless you want to buy it all over again – even if it has stupid/functionality breaking bugs! I tried a free version of one of their themes and faced an issue. I posted it in their forum and the support replied within a day. It was a pleasant surprise considering I wasn’t a paid user. Speaks a lot about how serious they are about being good at what they claim and actually do. Will definitely consider buying from them.